We’re A FULL-SERVICE PODCAST AGENCY FOR BRANDS and businesses. Wavelength Creative is a podcast agency for brands. We make podcast production effortless by handling the entire process end-to-end. The shows we produce are captivating and deliver results. And it's so simple for you because we're podcast experts—it's all we do. Our team includes marketing strategists, radio journalists, sound engineers and professional podcasters (yes, that’s a thing!). With over 25 years of experience in these fields, Wavelength Creative has the track-record to help you define your strategy, produce your podcast and amplify your message to achieve your content marketing goals. Podcasts are one of the most intimate forms of storytelling. And that's very powerful for marketers. At Wavelength Creative, we believe that brands and their fans should be on the same wavelength. We help them do exactly that. 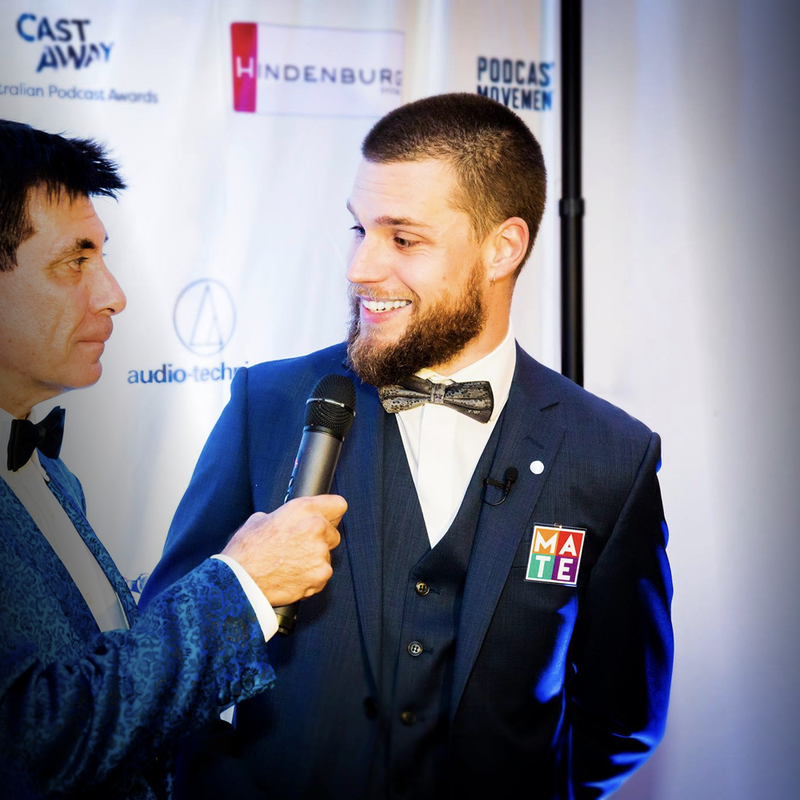 Adam Jaffrey (Strategy Director, Wavelength Creative) speaking at the Australian Podcast Awards in Sydney (April 2017). At Wavelength Creative, we cater to a range of different business needs. Whether you’re a small business just starting out with podcasting, or a large national brand looking for a professionally produced series, we’ve got you covered. We also have a range of specialist products to accomodate specific needs, such as podcast growth or conferences and live events. Drive new leads and network with important connections using a podcast. Improve brand perception and favourability with a professional podcast. Grow your audience with a marketing campaign that delivers results. Catalogue and convert your conference or live event into a podcast series. Grow your personal brand and become an industry thought leader with a podcast. Drive leads, improve growth and engage with fans using a podcast. Producing a podcast is an exciting project, but how much does a podcast cost? The price of a podcast can vary based on the episode length, how frequently you release episodes and also the production quality. As an example, producing a high-quality narrative podcast requires much more production time than if you produced a much simpler interview-style show. To help you understand the price-points and what to expect for each level of production quality, we’ve made the Podcast Pricing Guide. Just enter your details below and we’ll send it to you via email. If you’d like to speak to someone about starting a podcast for your business, you can book a phone call with us here. We produced Customer Experience Leaders as to position RateIt as a CX-industry thought leader. It worked! Within 24 hours of launching the show, we'd already broken into the iTunes top 10 business charts. Better yet, within just 3 months, the show grew to become the #1 CX podcast in the world (beating out competitors like Forrester, IBM and Oracle)! Customer Experience Leaders is a podcast produced by RateIt and Wavelength Creative. It's a show where we reveal the secrets of how great brands delight their customers. Packed with jargon-free practical takeaways, the show helps listeners build great customer experiences. Subscribe on Apple Podcasts, Overcast (iOS), PocketCasts or Android. Hosted by Adam Jaffrey, this iTunes top 20 podcast explores trends across Marketing, Advertising, Technology and Entrepreneurship. Wavelength Creative runs a live event series for professionals in the Melbourne podcast industry. Over 200 members have attended. Do you want to start a podcast for your brand, improve an existing one or need help amplifying it to grow your audience? Submit an enquiry here, or get in-touch using the telephone number or email address above. We'll get back to you within 24 hours. Are you interested in working at Wavelength Creative? We're currently on the lookout for exceptional reporters, editors and project managers. If you have a passion for creating audio which moves people, we'd love to hear from you! Send an example of your work to careers@wavelengthcreative.com.